When you made the decision to purchase a portable oxygen concentrator, like the eQuinox portable, you didn't just purchase a medical device, you made an investment. You invested in a medical device that grants you freedoms that other oxygen delivery systems don't offer. You invested in a piece of equipment that helps you regain your quality of life. With that being said, there may come a time where your disease progresses and you need a higher flow rate, your machine becomes old and you want a new one, or worst case scenario, you have a loved one who passed away and no longer need their portable oxygen machine. 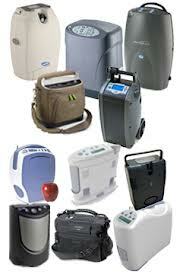 How can you get a return investment on that portable oxygen concentrator?